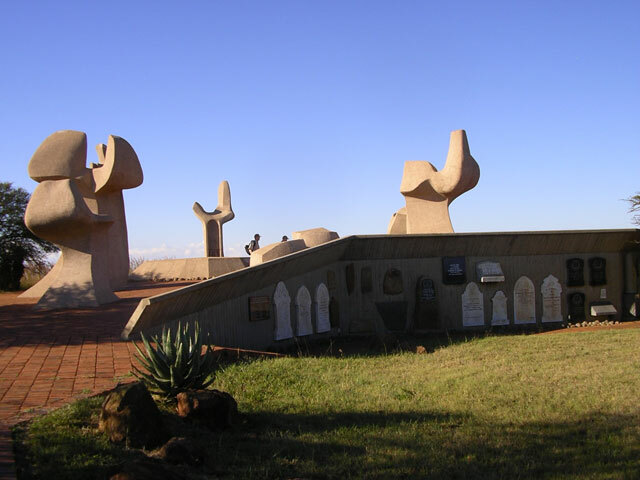 06 | In the middle of the Platrand overlooking Ladysmith is the Burgher Memorial. Unveiled in 1979 in honour of 781 Burghers who died during battles in Natal during the Anglo Boer War. The group of massive hands, six reaching up in faith and the seventh pointing downwards to symbolise “here”. The communal crypt in the centre contains the remains of 310 re-interred burghers.